Observation - Hellebore. - UK and Ireland. Description: A hellebore growing in waste ground by the side of the railway track. 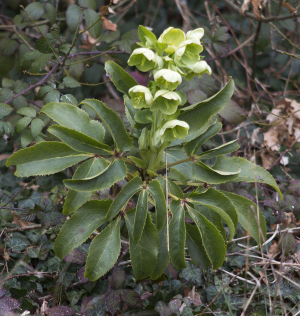 A hellebore growing in waste ground by the side of the railway track.